We have a huge crop of rhubarb on our communal garden plot so I brought some home with me yesterday. I also brought home some eggs from the chickens to bake with. You cannot beat fresh free range eggs and homegrown organic produce to bake with! After much thought, and more than a few suggestions from my husband and daughters, I made this upside down cake. It is fairly low faff and tastes fab for afternoon tea or pudding. Preheat your oven to 180C/160C Fan. Line a 23cm cake tin with non-stick baking paper. Combine the butter and sugar in a saucepan and stir over a low heat until the sugar has dissolved. Pour into the bottom of the lined cake tin. 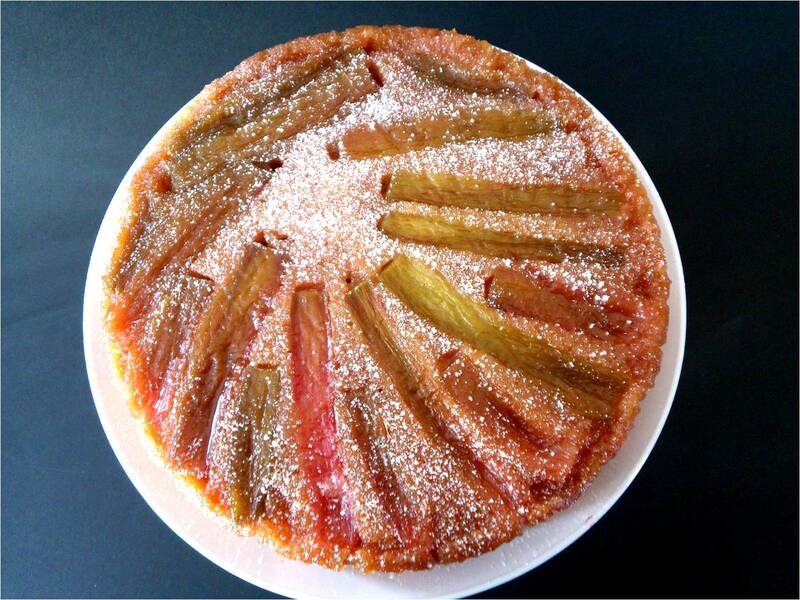 Arrange the rhubarb in a pattern over the base of the cake tin, take care as the sugar mixture will be hot. Beat the second measures of butter and sugar until pale and fluffy. Add the eggs one at a time beating well after each addition and making sure each egg is mixed in before adding the next one. Add the flours, ground almonds and ginger then fold them into the mixture until totally combined. Carefully spread the mixture into the cake tin over the top of the rhubarb and caramel. Bake for approximately 50 minutes, check by inserting a skewer into the centre of the cake - it should come out clean when the cake is done. Cool in the tin for 5 minutes before turning out onto a serving plate. I am submitting this cake to the Calendar Bakes challenge hosted by Dolly Bakes and Laura Loves Cakes.where the theme this month is The Great Village Show. I am also submitting this cake to the Simple and in Season challenge hosted by Ren. 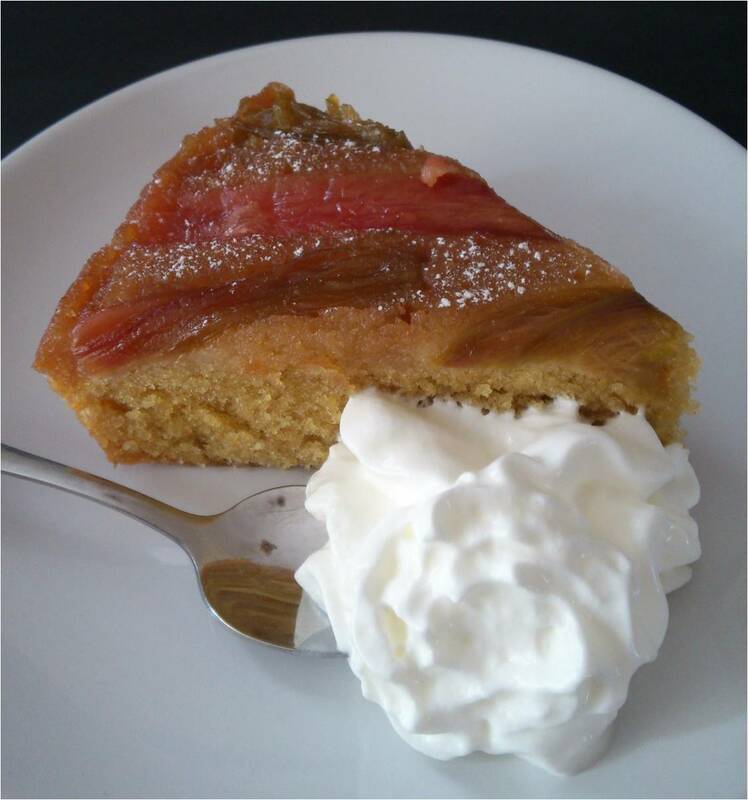 And since the rhubarb and eggs were free I am also submitting this cake to the Credit Crunch Munch blog hop created by Helen and Camilla, this month Camilla is hosting. Wow Michelle, I don't know whether to eat your pudding or frame it, it looks so beautiful - like a piece of modern art. I love rhubarb and you're lucky to have such a plentiful supply of it. 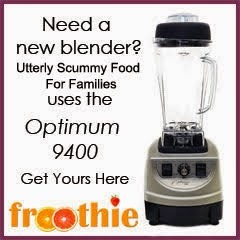 Thanks for entering Credit Crunch Munch with such a fab recipe! I agree with Camilla, it is very artfully arranged. Lovely cake. Thanks for sending to CCM!